Today, I found out that RPF has declared war on ACP and therefore in order to defend our ally the Nachos declare war on RPF. Like many of you reading this I don’t personally like RPF but this is different and I will explain how. This war isn’t about hatred or about pride, this is about survival… RPF is going to war to eradicate ACP, they are calling it Operation Shut Down ACP. Not only is ACP our ally but I don’t want to see any army shut down due to hatred, who’s next after ACP? Army Republic? The Nachos? 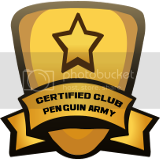 Who knows but I will not sit by and let this community fall to RPF. RPF is going crazy over this idea…ACP said it best, “This obsession with the Death of ACP will bring war with you, with no backing down”. 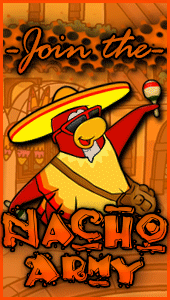 The Nacho Army and I stand behind ACP and our alliance with Army Republic to defend ACP and possibly one day all of the CPA community. WE WILL NOT LET ACP FALL. May the alliance live long. Will we fight with them? Yeah It’s ACP, Nachos, and (possibly) AR vs. the RPF. I have no regrets on how this war will go. I will be happy regardless of the outcome. I know that Nachos are a great army, and I believe that all armies, regardless of relations, are good armies to me. 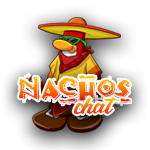 I only wish that I can come online Nachos chat without worry. Cause I really enjoy talking to new people. P.S. Can someone unban me on chat? My xat username: ZottffssTheKind.